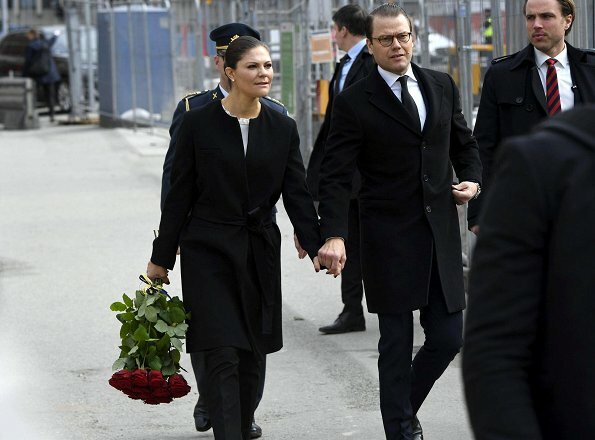 Crown Princess Victoria and Prince Daniel have this morning visited the scene of yesterday’s terror attack at a shopping centre in central Stockholm. 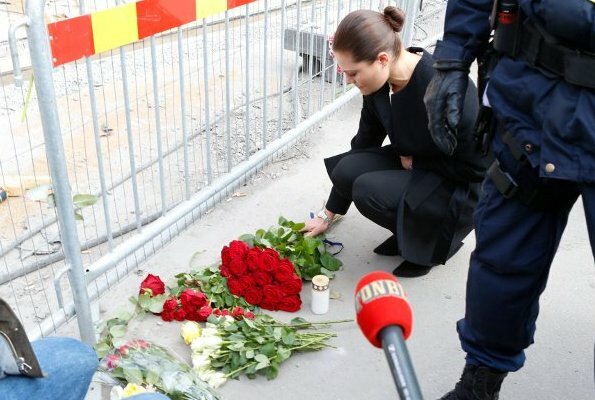 Crown Princess laid flowers near scene of the attack. The princess said, adding she felt "huge sadness and emptiness" in the wake of the attack. Four people were killed when a truck was driven at high speed down the pedestrian mall before crashing into a department store. The perpetrator has been arrested by Swedish police. It is so terrible. I don't know what to say. I am so shocked. This is what I love about Victoria. She has such a genuine love for Sweden and all of it's residents. It says a lot that one day after such a devastating attack, she's right there at the scene showing her support. 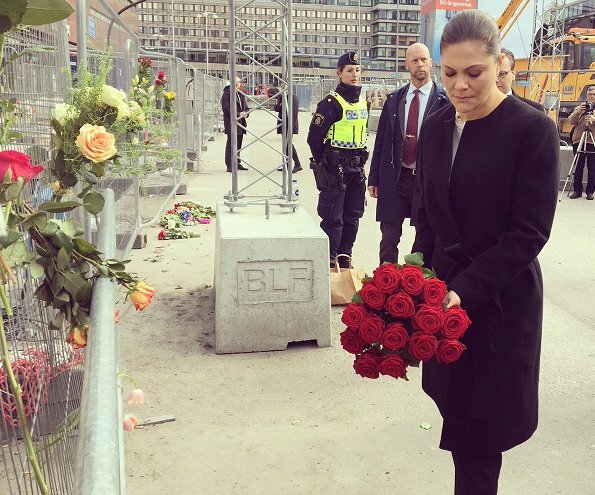 When she was asked by the press how do the people of Sweden move on from such a senseless attack she replied "together". When her time comes Victoria will make a great Queen. It touches my heart to see how she grieves together with the people. 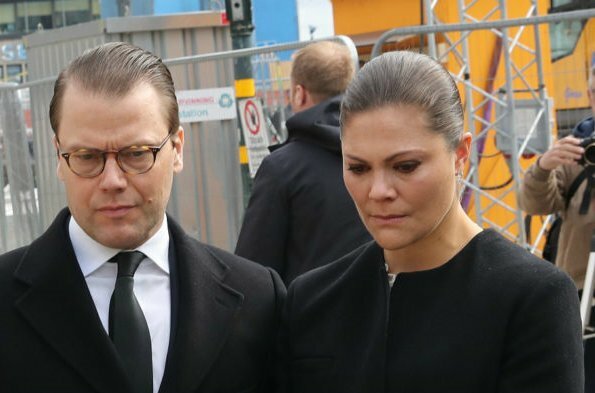 Chelsea - I no longer reside in Sweden and have a difficult time with all the negative comments in Svensk Damtidning about the Swedish Royal Family. You comments about the Crown Princess are so true. Thank you. @Chelsea: Je entièrement d'accord avec vous. Une future reine empathique et digne. Totally agree with you Chelsea. She gives face to sorrow. Não há palavras para descrever os atentados. É triste saber que existem pessoas que só pensam no mal, mas todos juntos vamos conseguir com que a Paz seja mais forte do que a guerra. As a Swede I would like to thank for the condolences and heartwarming support from around the world after the Stockholm attack. <3 It's so sad what happened now also to your beautiful country. I visited Stockholm in 2015 and really loved it there. The city, the people, everything. My prayers are with the dead and injured people and their families and with all the swedish people. Sympathy and anger combine that this could happen to the innocent in the peaceful country of Sweden--or anywhere. I am so sad such things happen in Europe. And it has become often. Victoria is such a warm person. Let's just forget fashion for a moment and appreciate leaders with big hearts. Lets pray for better tomorrow. I hope politicians will finally start doing something. Because streets of Europe are filled with death. My condolences to all people in Sweden. Yes, we move from this together with kindness, and tolerance, vigilance and common sense. It is not in the politicians hands, but in ours. I have lived thru this type of violence in Spain, Germany, Ireland,Italy, New York, and the entire Middle East just to name a few, "and this too shall pass"
Such a tragedy. It's a frightening world now. 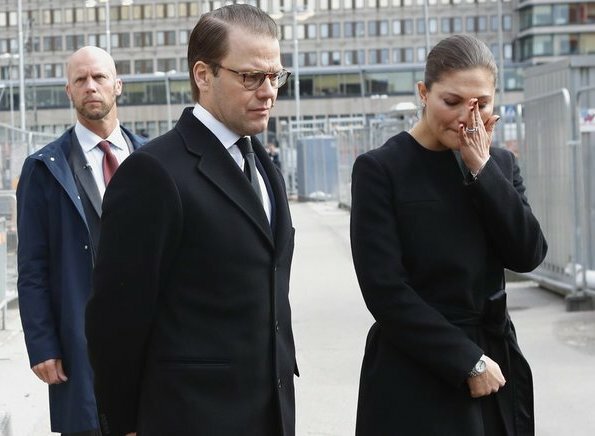 Having lived through 9/11, Boston Marathon and countless other atrocities inflicted upon our country, USA, I think that the Crown Princess's face mirrors the pain that Sweden now feels. Bless you all and as she said face it "together". Thoughts and prayers with Sweden from Pakistan. We share with your sorrow and stand united in your grief and resolve to fight terrorism. Mis condolencias a las familias de las víctimas y a todo el pueblo sueco. Fuerza y valor. It seems that we are witnessing such scenes far too often ! Thoughts and prayers to the people of Sweden. Such evil is beyond understanding. My heart and thoughts like many others is with Sweden. Deepest sympathy to the family and friends of those affected. Totally devastated and shaken. My deep condolences and prayers from INDIA. 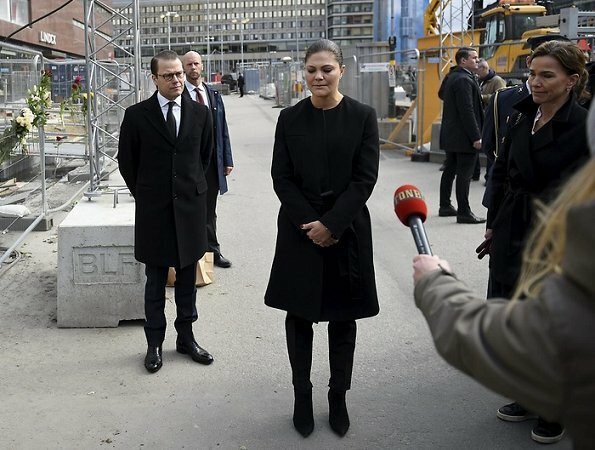 Gerade mal 4 Wochen sind es her, dass ich in Stockholm den Namenstag der Kronprinzessin feiern konnte. Sie ist so ein liebenswerter Mensch. Ihre Untertanen und deren Wohlergehen bedeuten ihr sehr viel. Mein tief empfundenes Beileid an die Hinterbliebenen der Opfer, den Verwundeten und vielen, vielen Dank an all jene, die für uns in diesen unruhigen Zeiten sorgen. Den Polizisten, Ärzten, Feuerwehrleuten, Freiwilligen und all jenen, die ich hier nicht aufzählen kann. Ich zitiere Dr. Martin Luther King: Hass kann Hass nicht vertreiben, nur Liebe kann das. Das haben Sie sehr schön ausgedrückt!